FlyGearz @ Calas Galadhon Park – Saturday, February 2, 8pm SLT – “Love Songs” & Steampunk Fashion! 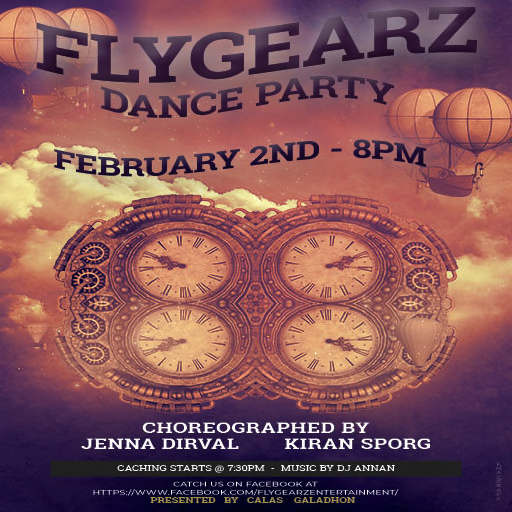 FlyGearz, with choreographers Jenna Dirval and Kiran Sporg, at Calas Galadhon takes off at 8pm SLT Saturday, February 2, with a “love songs” theme! Join us on board the magical Danceship “Alice II” where your in-flight entertainment is YOU; dancing like nobody’s watching! For the optimal dance experience, arrive at least 15 minutes early to allow for the caching of dance animations! No experience necessary – you’ll be amazed at how good you are! To really get into the groove – find yourself some Steampunk fashion! Here’s your shuttle ride! Hurry up – time to cache the dances! This entry was posted in Uncategorized and tagged Calas Galadhon, dance, FlyGearz, Jenna Dirval, Kiran Sporg, Music, Second Life, Steampunk by Romie Vella. Bookmark the permalink.